Professor Rubenstein teaches Constitutional Law I, Administrative Law, Immigration Law, Legislation, and Professional Responsibility. 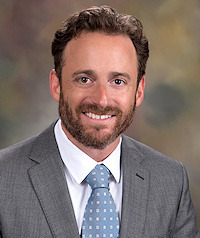 Professor Rubenstein is the Director of the Robert J. Dole Center for Law and Government at Washburn, and Editor-in-Chief of Administrative & Regulatory Law News, published quarterly by the American Bar Association. Prior to teaching, Professor Rubenstein clerked for The Honorable Sonia Sotomayor when she was a judge on the United States Court of Appeals for the Second Circuit, and for The Honorable Barbara Jones in the United States District Court for the Southern District of New York. He also served for three years as an Assistant United States Attorney in the Southern District of New York, where he specialized in immigration and argued several issues of first impression before the Second Circuit Court of Appeals. In private practice, Professor Rubenstein worked for five years as an associate in King & Spalding's New York office, where he represented major corporate clients in a wide array of commercial litigation matters. Professor Rubenstein writes in the fields of Constitutional Law, Administrative Law, and Immigration — usually at the intersection of two or more of those subjects. His scholarship has been published in Boston University Law Review, Fordham Law Review, Michigan Law Review, Northwestern University Law Review, Vanderbilt Law Review, William & Mary Law Review, and other journals. Professor Rubenstein's work has been widely cited in law journals and by the United States Court of Appeals for the 4th, 7th, and 8th Circuits.